Ruocchio Designs, Inc. is a design firm specialising in fabricating high-end museum exhibits, signage, sculptures and more – specifically, large-scale projects that have a high “wow-factor” to them. Their most recent project is an ideal example of this. 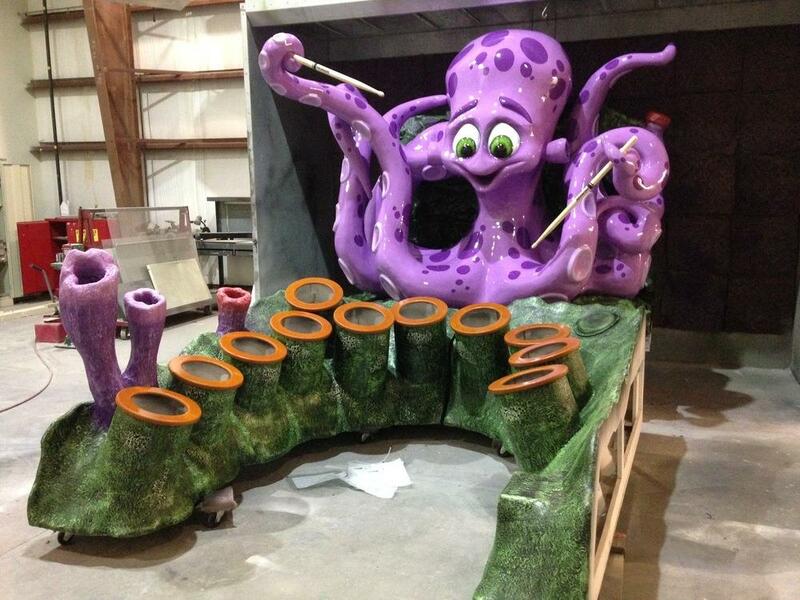 The company was commissioned to create a massive octopus manning the drums for the Greensboro Science Center’s (GSC) underwater themed exhibit. The GSC is an aquarium, museum and zoo, and is located in Greensboro, NC, USA. Ruocchio Designs certainly had their work cut out for them as the requested dimensions were 8 feet by 8 feet. Peter Ruocchio and his team used Duna Group’s Corafoam R40 Prop Foam as their material of choice, fabricating it entirely by hand, an endeavour that took an entire week using various hand woodworking tools. The material used is a mid-range density Prop Foam with a maximum thickness of 18” and a density of 4 lb/ft³. Corafoam R-series polyisocyanurate foam is a new series of Prop Foam developed specifically for the carving industry. The product line includes Prop Foams dedicated to set and stage design or scenography. 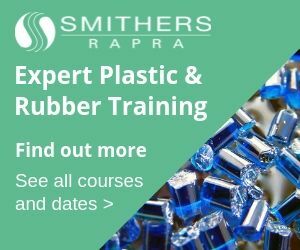 Thanks to its desirable properties, Prop Foam is suitable for applications requiring strength and a higher level of detail not achievable with styrene. 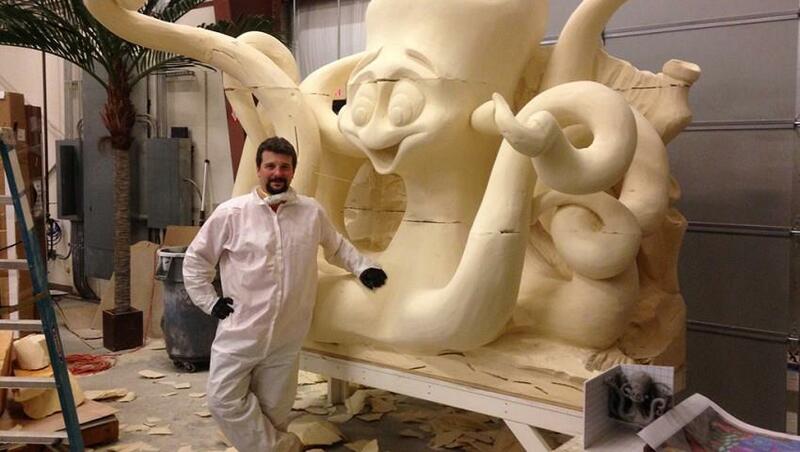 According to the manufacturer, Prop Foam can be easily carved by both machine or hand (but not hot wire), making it a versatile product for sculpting. 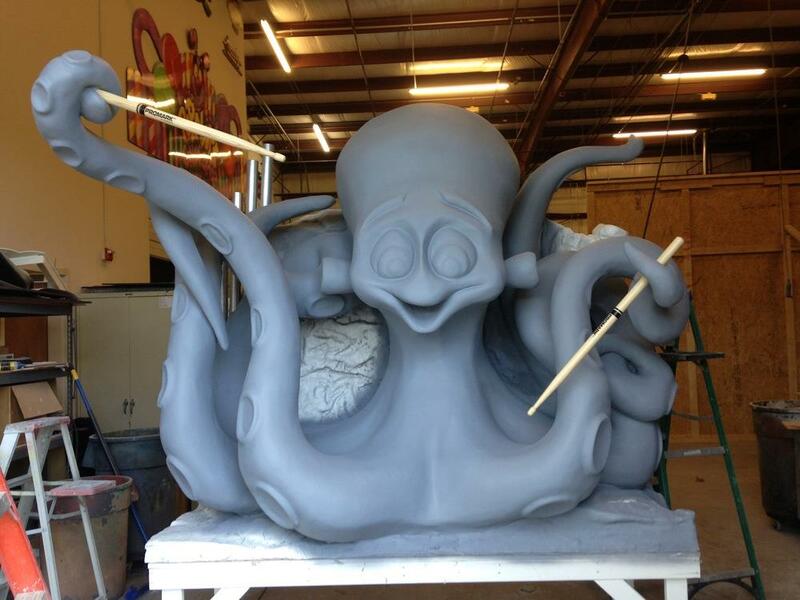 The spectacular finish coat of the octopus sculpture was applied by initially hard-coating the entire piece with fibreglass, and ultimately, after extensive sanding and body work spanning several weeks, finishing with DuPont base clear automotive paints. The fibreglass on top of the high-density urethane foam makes the project extremely durable and will enable it to last for a long time. 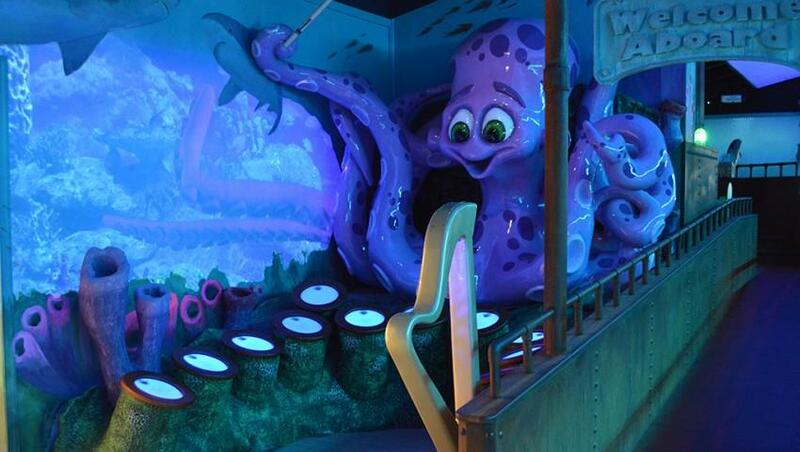 Fittingly, the octopus has been named Octavia. According to Peter Ruocchio: “We chose to use the R-40 for this project in place of polystyrene due to its ease of carving and the fact that you can apply fibreglass polyester resin directly to its surface.” Ruocchio started his business as a freelance artist after he graduated from North Carolina State University over 20 years ago. Ruocchio Designs is located in a 14,000 sq/ft facility in Wake Forest, NC, USA, and employs a talented firm of artists and fabricators.